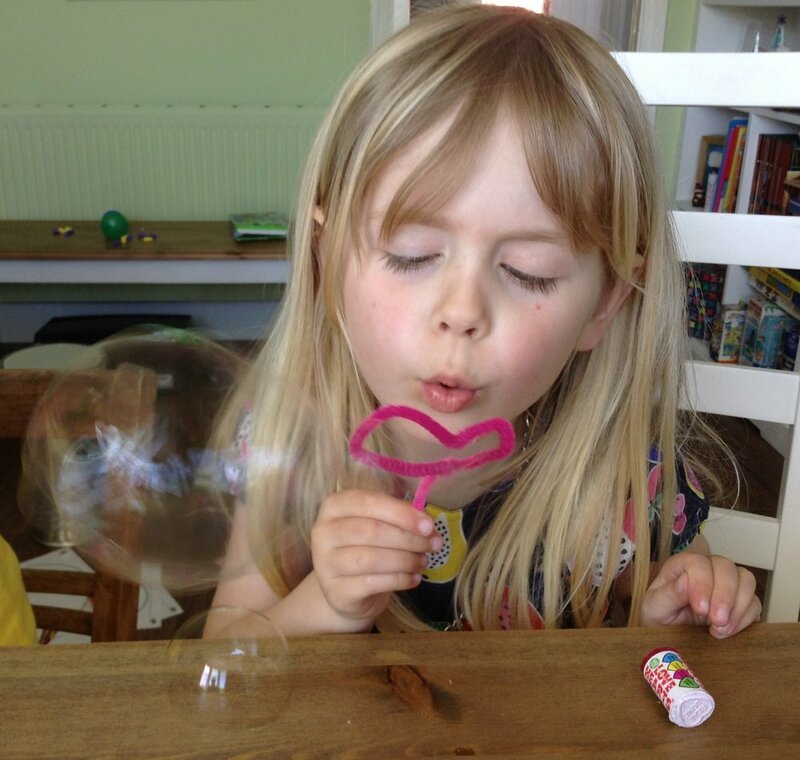 Exciting things to do with bubbles! 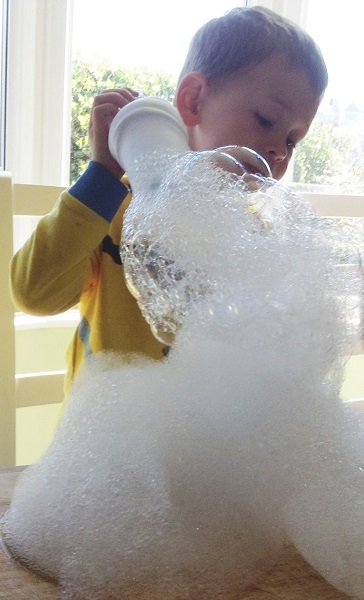 There are so many ways to enjoy bubbles as well as making huge ones with the bubble wands. Make your own bubble wands using pipe cleaners. Explore shapes and multi-hole designs. Cut off the end of a plastic bottle and recycle. Then pull a sock over the cut end of the bottle until taut and secure in place with an elastic band. Dip the sock end into bubble solution and remove, then blow into the bottle neck to create a bubble foam fountain. Tip: add food colouring to the sock surface to create a vibrant effect. Dip a cardboard straw into bubble solution and blow onto a wet surface to make a bubble. Continue to blow bubbles on top of each other to make a bubble mountain. 1. Dip a cardboard straw into bubble solution and blow onto a wet surface to make a bubble. Then slide the straw inside the bubble and blow another bubble. Repeat the process to see how many you can make. Tip: ensure the straw is wet so the bubble doesn’t pop. 2. Gently blow onto a giant bubble to create smaller bubbles inside. 3. 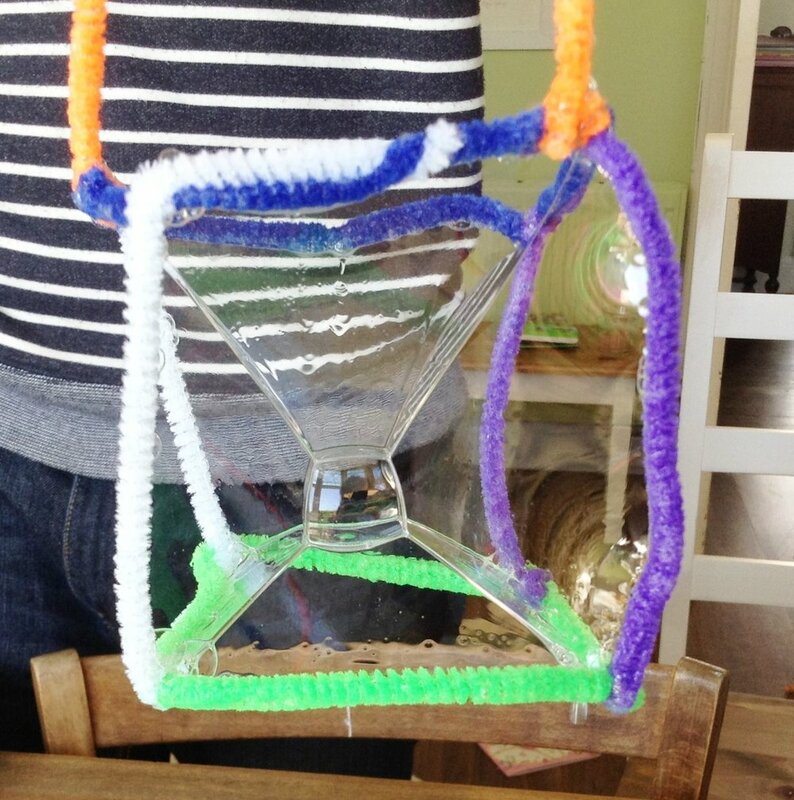 Make a large bubble and suspend it from the bubble wand. Then dip a cardboard straw into bubble solution and slide it inside the large bubble. Gently blow lots of bubbles inside. With wet hands, you can scoop up a bubble you have made on a wet surface. Cut a bubble in half using a wet pencil to make double bubbles! Raise the bubble wand as high in the air as you can, slowly open the wand and let the breeze make a bubble snake. See how long you can make one before it pops. Lift the bubble wand and gently swing the whole wand forwards and backwards to create bubble snakes. Close the wands together to seal a bubble and then open them to make more. Swing the bubble wand rope back and forth to make many sealed bubbles. Create smaller bubbles by only opening the bubble wand a little way (not too wide). Great for more blustery days.